A Special Meeting is scheduled at the Union Hall on April 11, 2019 in accordance with Article V, Section 6 of the IAFF Local 244 Constitution & By-Laws. The purpose of this meeting is to approve the Political Action Committee recommendation for a Congressional Endorsement. The meeting will start promptly at 6:45pm, the General Meeting with follow at 7:00pm. Please call the General President with any questions. The City Chapter Paramedic EMT-I Compensation for Training Attendance during regularly scheduled days off MOU was approved, pursuant to Article II, Section 2 Contract Vote/Ratification & Section 4 Memorandums of Understanding of the Constitution & Bylaws at the Special Meeting which was held on March 28, 2019. The signed Paramedic EMT-I Compensation for Training Attendance during regularly scheduled days off MOU can be viewed in the member’s area under the 'Contracts' tab. City Chapter MOU for ‘Paramedic EMT-I Compensation for required off duty training’ to be presented for membership approval at Special Meeting 3/28/19 at 1:00p.m. 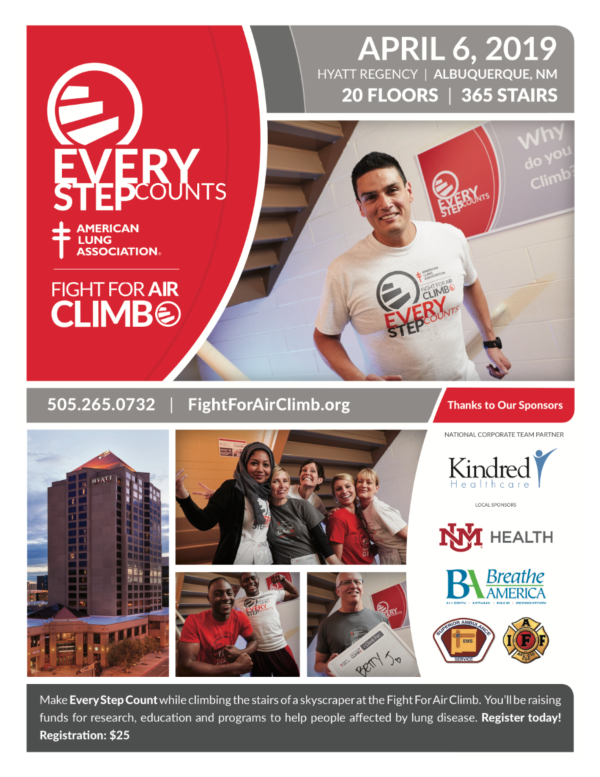 Informational meetings for review and discussion are scheduled for March 25 & 27 beginning promptly at 11:00am at the Union Hall. 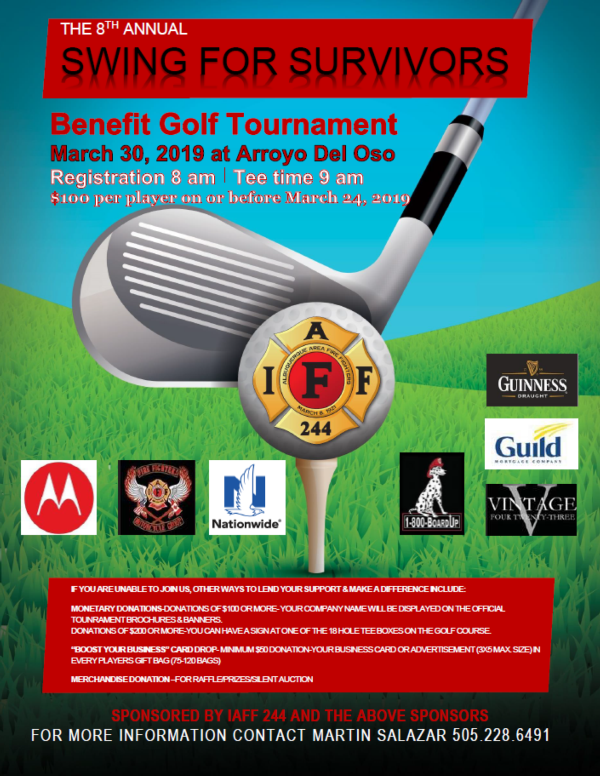 On Saturday, March 30th 2019, the Albuquerque Area Fire Fighters will host the 8th Annual ‘Swing for Survivors’ Golf Tournament to Benefit the IAFF Local 244 Firefighters Survivors Fund (FSF). 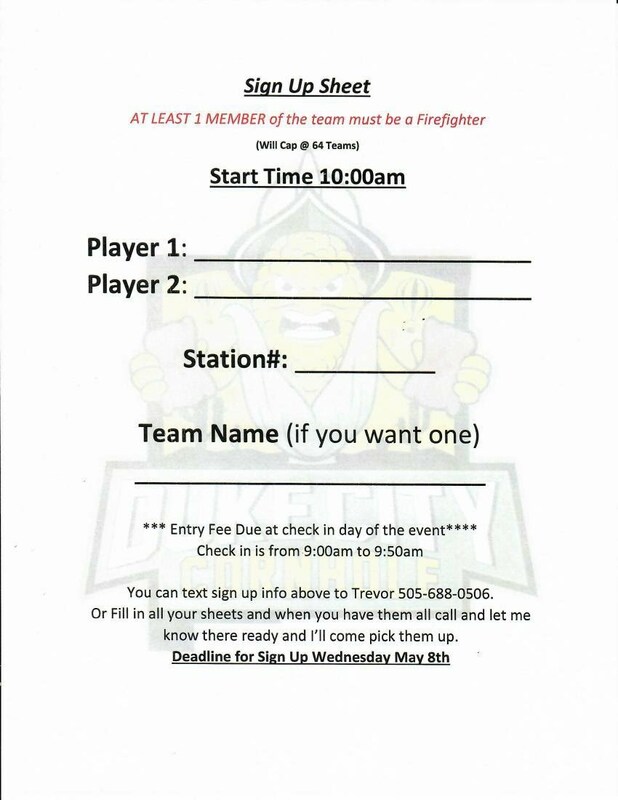 The FSF provides financial assistance to firefighters, spouses and children of firefighters stricken with life threatening medical conditions. 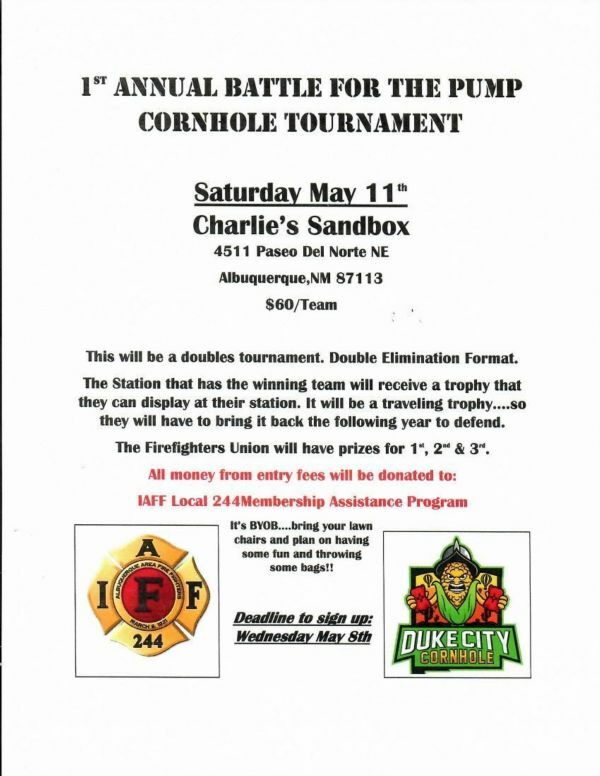 The tournament will take place at the Arroyo Del Oso Golf Course. Click on link below for the registration form. Contact Martin Salazar at martindsalazar@msn.com for more information.